Need bachelorette party ideas in St. Petersburg? Go out and explore St. Petersburg with the girls on a fun scavenger hunt. This variant of our traditional scavenger hunt takes you on an adventure designed to maximize fun and bring your group together. Every member of your group will have a themed role and you'll do fun Bachelorette party games. Be prepared for a bachelorette party that is as crazy or as relaxed as you want. The St. Petersburg Bachelorette Party Scavenger Hunt is the perfect event for any adventurous bride who wants to see the city before a night on the town. The hunt starts and ends in downtown St. Petersburg near the best restaurants and bars in St. Petersburg. Our bachelorette party games have edgy custom roles and questions that are sure to make your day exciting. Spend your time with us, and we’ll unveil an entire city to you in a bachelorette party you’ll never forget! This experience is perfect for your group because we took the best bachelorette party ideas in St. Petersburg and turned them into an amazing game and event! Your scavenger hunt will have custom roles and bachelorette party games. Expect to laugh a lot and have some adult fun. End the hunt near your the best bars and restaurants in the city! 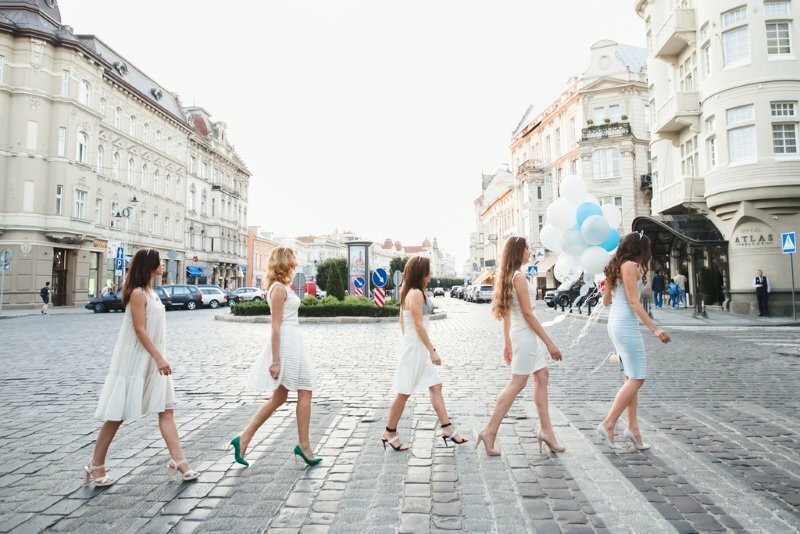 Your St. Petersburg bachelorette party package will give you an amazing time. You'll get some amazing memories and have plenty of embarrassing pictures to remember them too!